Posted on May 11, 2016 by Mike Sonnenberg Posted in Uncategorized	. 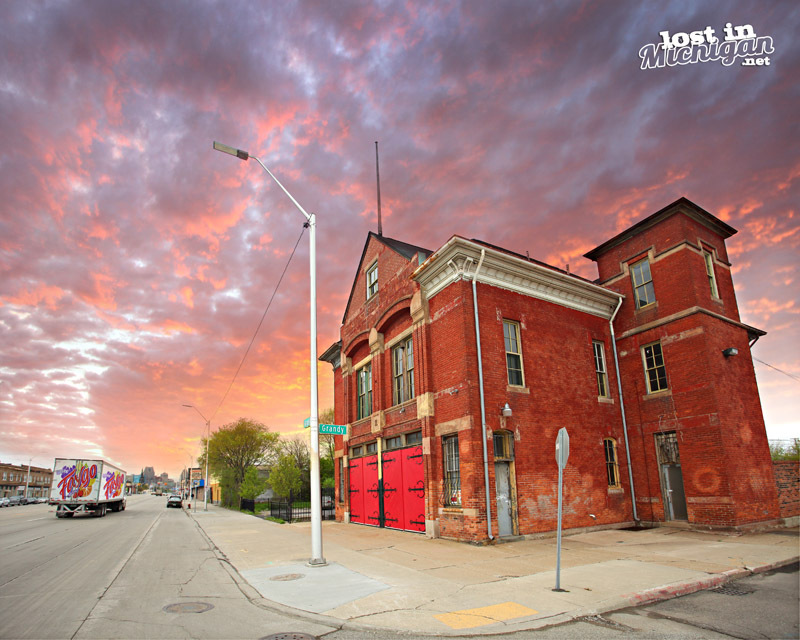 Engine House #11 in Detroit, on Gratiot Ave, is the oldest remaining firehouse in Detroit. Engine Company No. 11 was organized as the “Steam Fire Engine Company #11” on January 1, 1884. The original equipment included a horse-drawn Silsby Steam engine and hose reel cart. The company converted to motorized operation in 1916, obtaining a Seagrave gasoline propelled pumping engine. P.S. I try to avoid getting cars and trucks in my pics but since I had a truck in this one I changed it to a Faygo truck since the bottling plant is right down the road.